The appearance of culantro and cilantro are different but the leaf aromas are similar, although culantro is more pungent. Because of this aroma similarity the leaves are used interchangeably in many food preparations and is the major reason for the misnaming of one herb for the other.In Latin America, culantro is mostly associated with the cooking style of Puerto Rico, where recipes common to all Latin countries are enhanced with culantro. The most popular and ubiquitous example is salsa, a spicy sauce prepared from tomatoes, garlic, onion, lemon juice, with liberal amounts of chiles. These constituents are fried and simmered together, mixed to a smooth paste and spiced with fresh herbs including culantro. 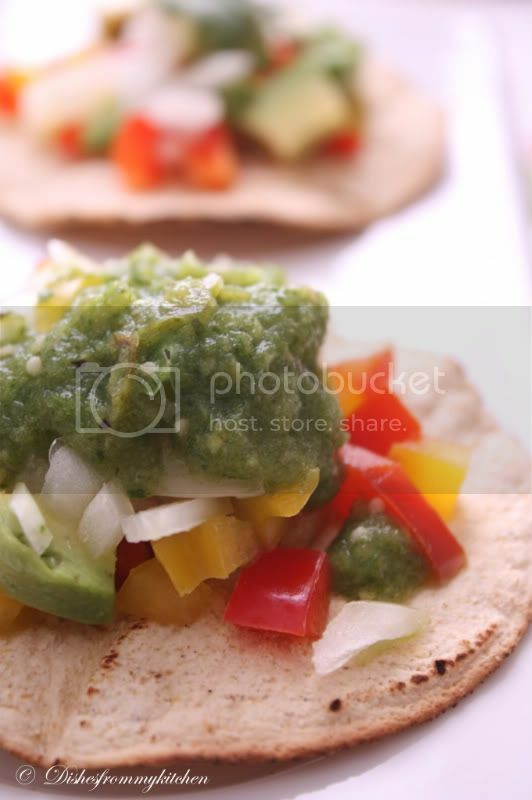 Salsa is usually consumed with tortilla chips as an appetizer. Equally popular is sofrito or recaito, the name given to the mixture of seasonings containing culantro and widely used in rice, stews, and soups. Culantro is reported to be rich in calcium, iron, carotene, and riboflavin. The plant is used in traditional medicines for fevers and chills, vomiting, diarrhea, and in Jamaica for colds and convulsions in children . The leaves and roots are boiled and the water drunk for pneumonia, flu, diabetes, constipation, and malaria fever. The root can be eaten raw for scorpion stings and in India the root is reportedly used to alleviate stomach pains. The leaves themselves can be eaten in the form of a chutney as an appetite stimulant. 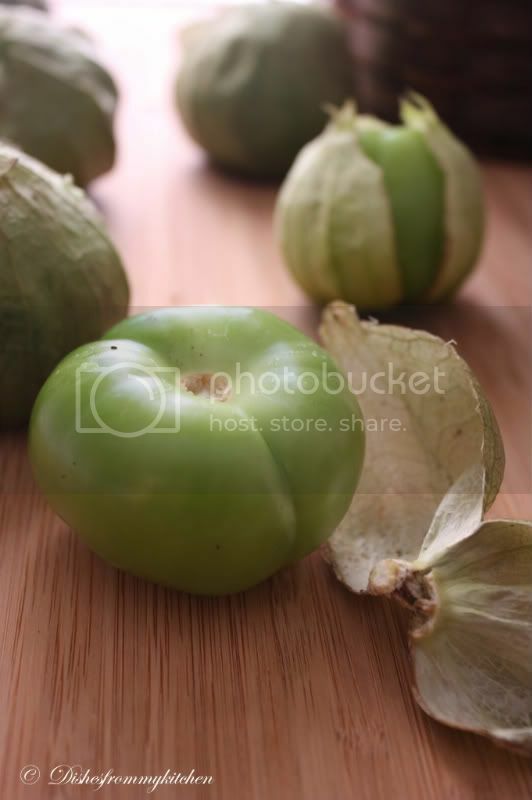 The tomatillo is a plant of the tomato family, related to the cape gooseberry, bearing small, spherical and green or green-purple fruit of the same name. 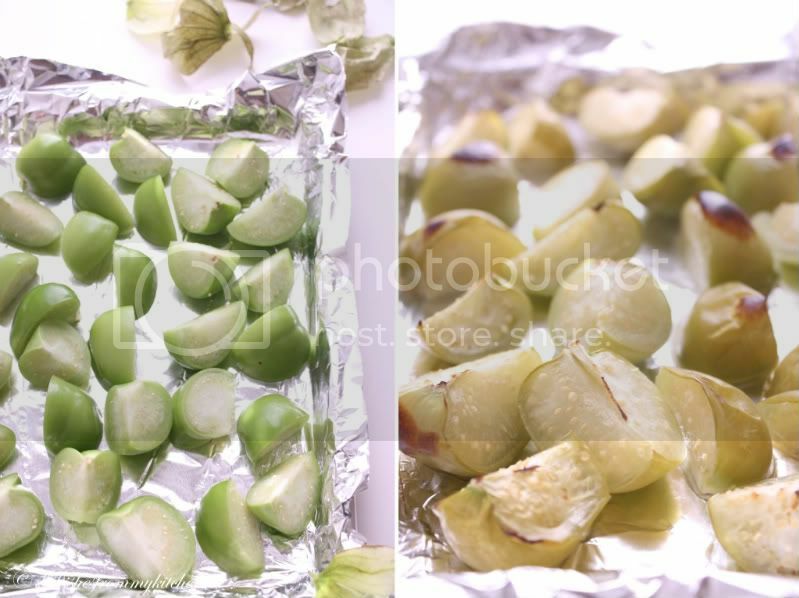 Tomatillos, referred to as green tomato (Spanish: tomate verde) in Mexico, are a staple in Mexican cuisine. 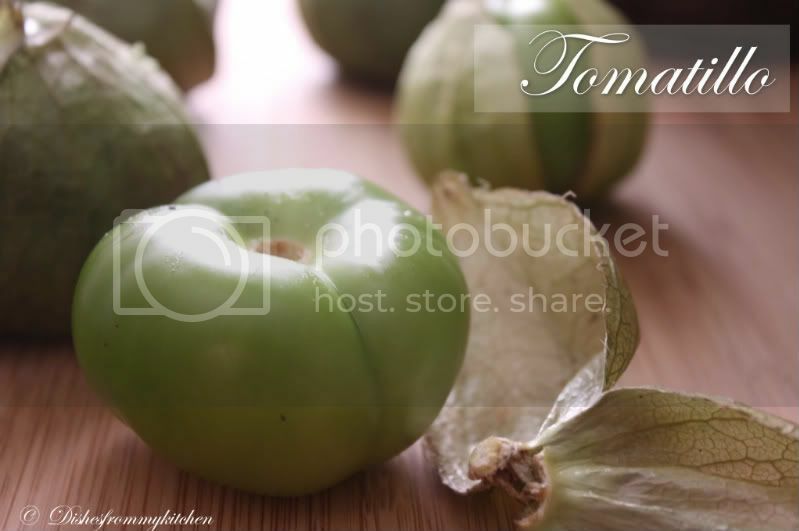 In many areas of Mexico the domesticated tomatillo is called tomate and the wild version called miltomate and what we know as tomato is called jitomate. 3. Now blend other ingredients to coarse paste. 4. To that add the cooled tomatillo and use pulser to blend to coarse and chunky paste. Add water if necessary. 5. Check for salt. And transfer it in the airtight container. 6. You can keep this in fridge for upto 10 days. Dip for chip is ready !!! Enjoy the freshness !!! Never heard of Culantro before....looks good ...I love salsa verde....lovely presentation! looks beautiful! 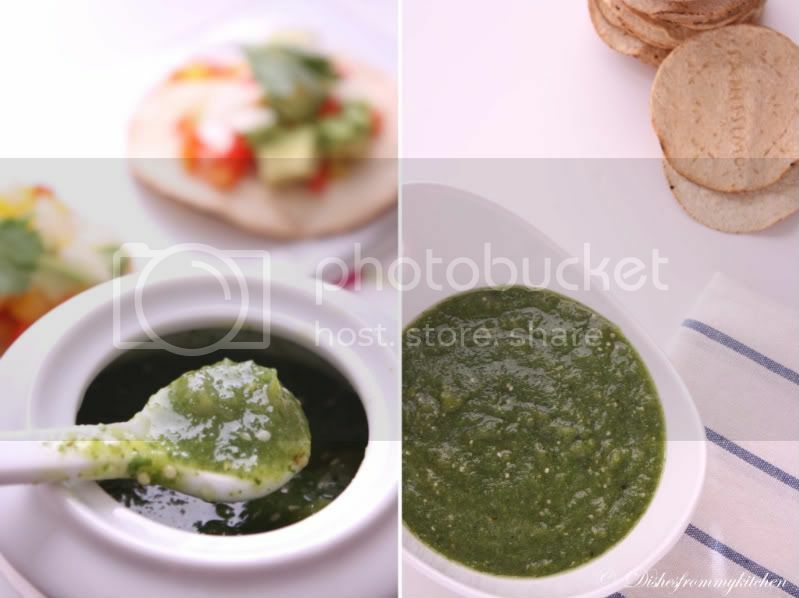 Wow... beautiful clicks... Nice recipe for salsa with tomatillo..
Simpy fabulous clicks and the salsa looks so tasty.. I first thought it was spelling mistake...good to know about Culantro, I have never heard about them. Lovely clicks. thanks for this informative post with pictures. learnt about two new veggies and one very refreshing recipe from you today. Oh, what a gorgeous salsa! I love Latino food. Looks new to me..name and the dish!! Salsa is yummy and lovely!! Salsa looks colorful and delicious.. I am tired of saying the same thing again and again ...... your presentation is awesome :) The clicks tell all the story .... The intro to Culantro is a good one ! looks perfect and very very tempting..and nice photography too..
looks wonderful, well written post. Wonderful Recipe. Salsa's pics look great. 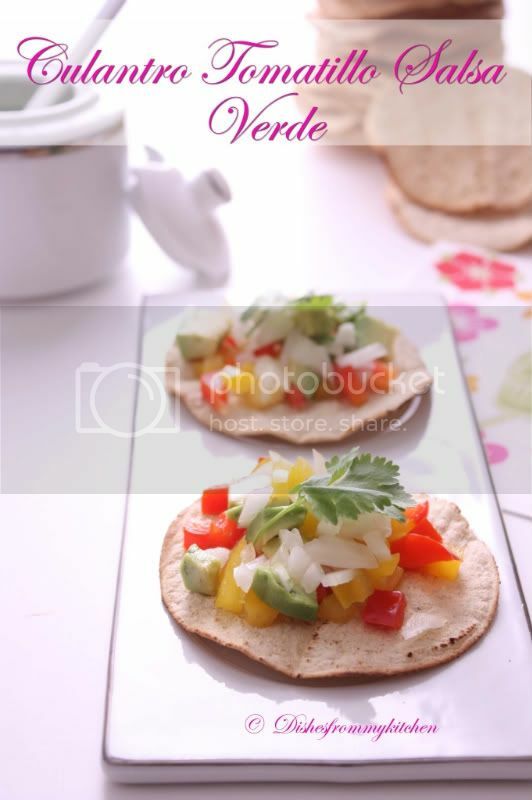 the dish looks very yum and ur clicks makes them extremely good. 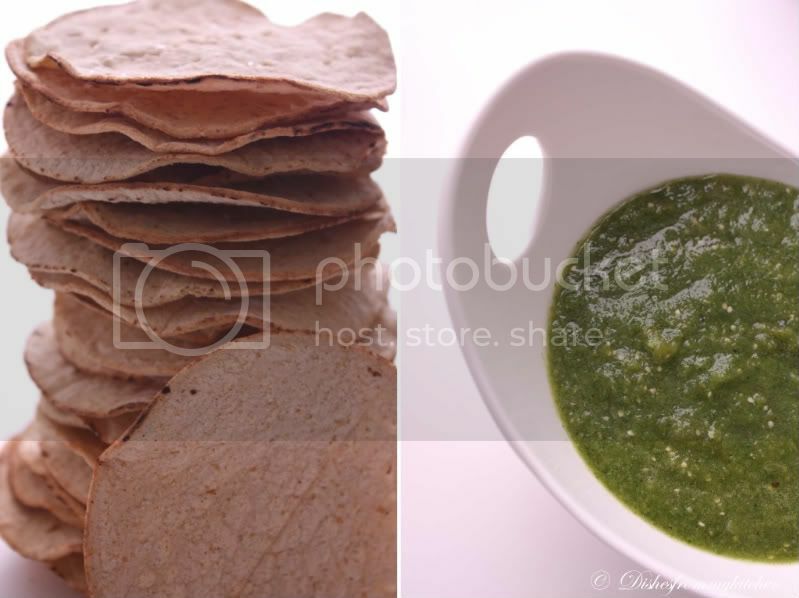 I saw those culantro leaves here,but never tried anything with them, salsa looks absolutely inviting...Beautiful clicks Pavi..
Salsa looks yumm and absolutely gorgeous pics. Your pics are so refreshing. Plz. 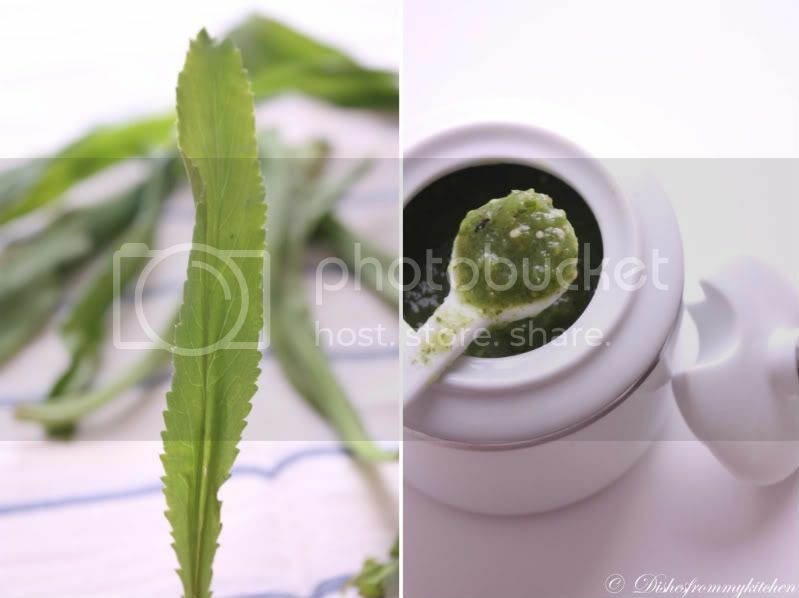 share some notes and tips on food photography for new bloggers like us. 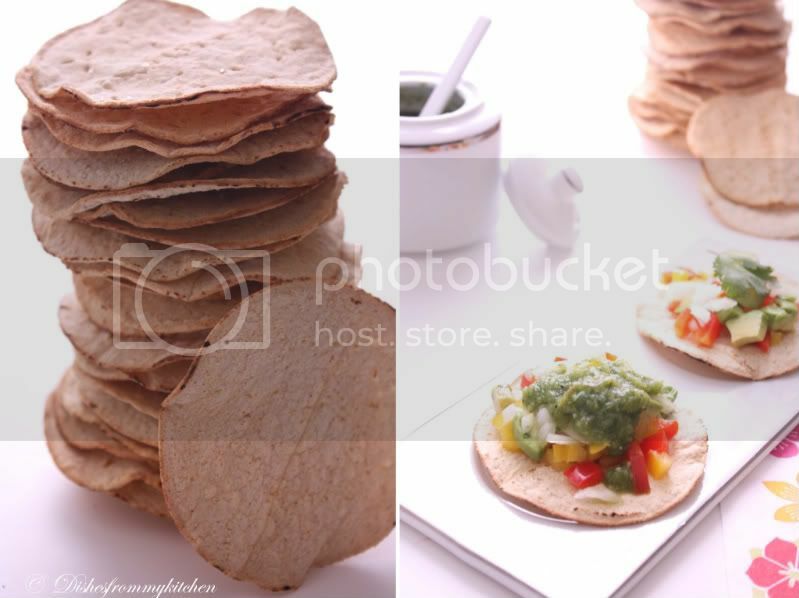 Mindblowing photographs...Lovely chips and salsa.. This salsa looks totally enticing! Your love and patience for food and photography is awesome. I'm thankful for knowing you! Lovely clicks and finally I managed to open the link. Very informative post indeed. Looks so very delicious n refreshing!! 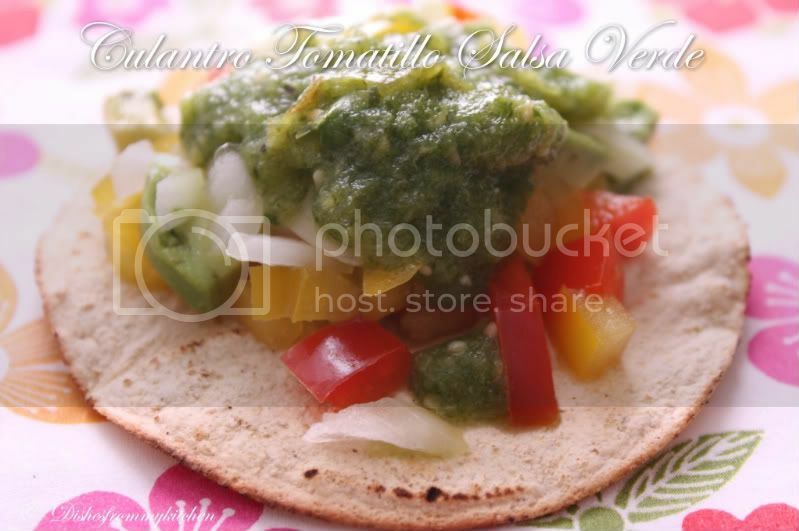 great recipe and amazing pictures..
What a vibrant and delicious salsa verde! 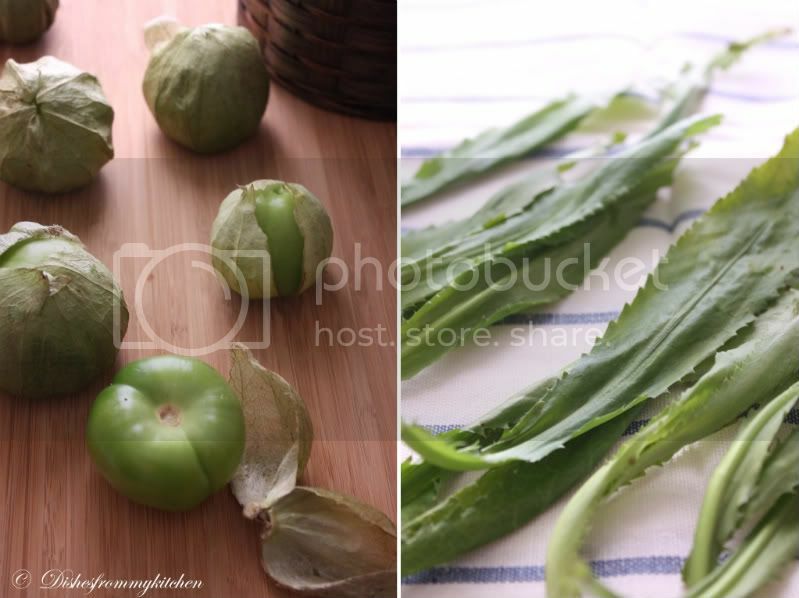 I love tomatillos and always thought culantro was the same as cilantro! I will have to look for the first - curious as to the difference. Hey Pavithra. Wow, you have an amazing collection of international recipes! And you photographs are definitely a visual treat - keep going!! What a vibrant and flavorful condiment and a very unique one too! Love your photographs. What a beautiful looking dish. The colours just pop right off the page (or screen!). Enjoy! Yum yum yum I must say! Looks delish!